Four ingredient Ice Cream Pie with easy to follow, step-by-step, photo illustrated instructions and a printable recipe. A vintage, no bake, easy to make Ice Cream Pie recipe. Made with Jello Instant Pudding. Vintage Ice Cream Pie Recipe, from around 1957. I enjoy looking through old magazines just to see the advertisements in them. You know, back when electric stoves and refrigerators weren’t so common, or when a new car came out. Back in the “good old days” as folks often call them. Likewise, with computers and the Internet, I might spend a bit more time than I should viewing lots of old ads that folks have placed online. That’s how I stumbled across this recipe. Back around 1957, a Jell-O ad featured a recipe for “easy as pie – pie” I’ll show you the ad below. It was just too easy to not try, and I wanted to share it with you here on Taste of Southern. I wondered if softened ice cream, milk and instant pudding could actually firm up enough to make a pie that could be sliced. Sure enough, it does. Who knew? Smile. The original recipe calls for a pre-baked pie crust, but I wanted to go non-bake all the way. 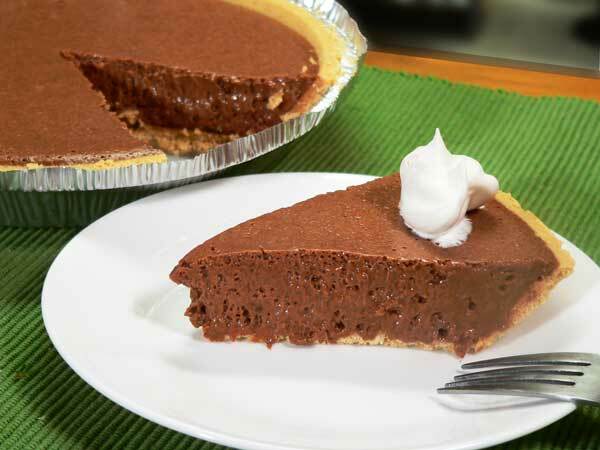 I opted for a Graham Cracker Crust as you’ll see below, but your favorite pie crust will work. Having made this late in the evening, I decided to let it sit in the refrigerator overnight. I cut it first thing the next morning, and snapped the photo of the finished product. That first slice came out surprisingly well, and as you probably know, those first slices can sometimes be difficult. So, I enjoyed a nice slice of cool Chocolate Ice Cream Pie for breakfast that morning. Yes, it had a bit of a taste of Instant Pudding, but it was good enough that I’d make another one. And, with the combinations of ice creams and instant puddings available today, the skies the limit on variations. Smile. So, if you’re just as curious as I was, head on out to the kitchen, and… Let’s Get Cooking! The ad from around 1957 that inspired me to give this recipe a try. It sounded almost too easy to actually work, but it did. While I made the Chocolate version, the ad suggests a variety of other ice cream and instant pudding combinations to make other flavors. Jell-O Strawberry Instant Pudding with Strawberry Ice Cream. Jell-O Lemon Instant Pudding with Pineapple Ice Cream. Jell-O Vanilla Instant Pudding with Pistachio Ice Cream. Lots of variations. Create your own. 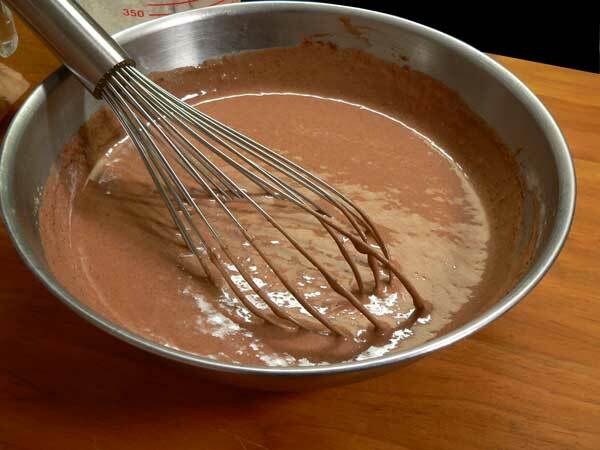 To make the Chocolate version, you’ll need these four ingredients. I opted for the Graham Cracker Crust as opposed to a regular pie crust. That makes this one a complete no-bake pie. If you use a regular crust, or make your own, you’ll need to pre-bake it first. 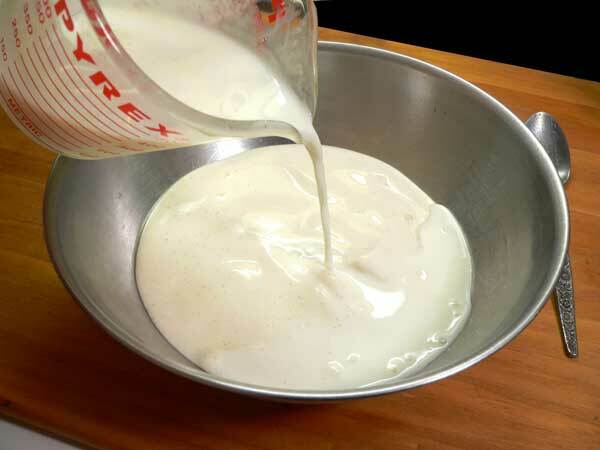 Place a pint of softened ice cream into a medium sized mixing bowl. Add the cup of milk. Lightly blend the milk and ice cream together. Add the Jell-O Instant Pudding Mix. Beat this for one minute. 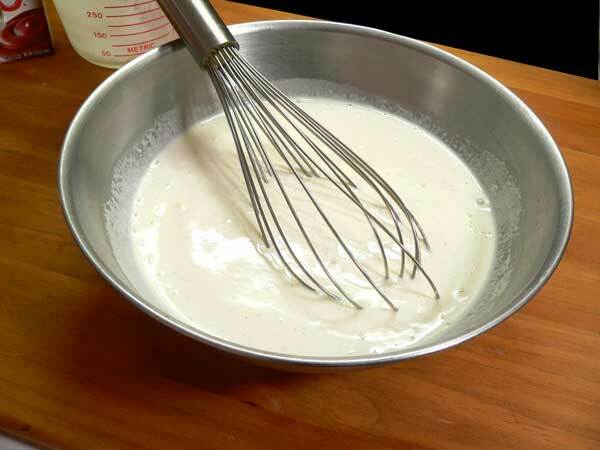 I used a whisk, but you could also use an electric mixer. Remember, if you’re using a regular crust, you will need to pre-bake it first. 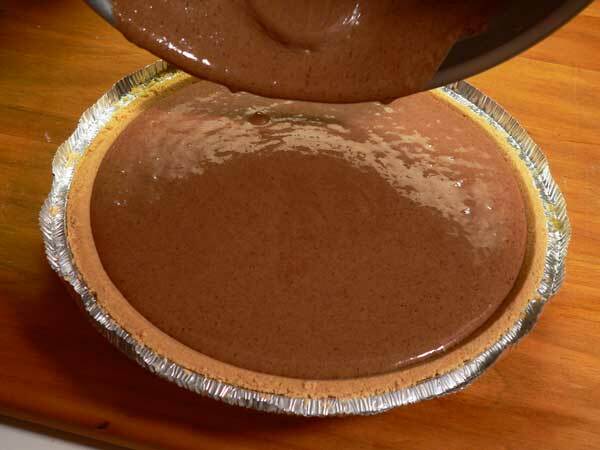 Place the pie in your refrigerator to firm up. The recipe said this should take one to two hours to firm up properly. I let mine stay overnight and cut into it the next morning. It was soft and light, but firm enough that I got the first piece out without any problems. That first piece always seems to break up. Smile. Just be gentle with it. The recipe also says the pie will keep for 24 hours in the refrigerator. For the record: I went through “extensive testing” with this pie to be able to share my results with you. This pie held up well for about 48 hours in my refrigerator. It did weaken a bit after that time. The outer crust would weigh the pie down and cause a slice to break apart at that point after the 48 hour period. It still tasted the same, it just wasn’t able to hold together. Then, I placed the remainder of the pie in the freezer to see what would happen next. I faithfully tested a slice each day until the pie was gone. It held up well after being frozen and I might have enjoyed it more. It was a tough job to taste test it daily, but I’m glad I could do it for you and provide this additional research information. Smile. Very easy to make, no bake, Vintage Ice Cream Pie Recipe. Complete, step-by-step, photo illustrated instructions on Taste of Southern.com. 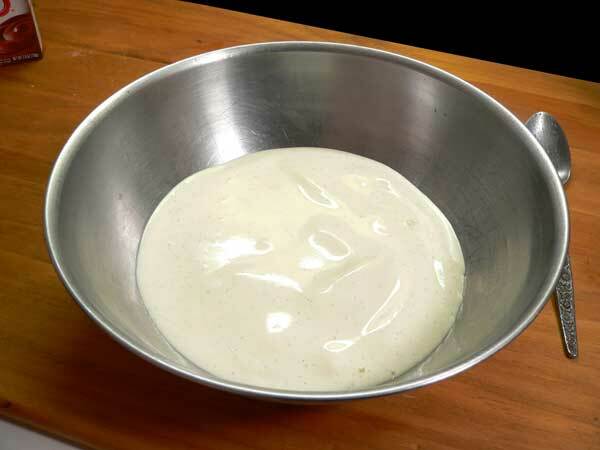 Place the ice cream in a medium sized mixing bowl. Add the milk, blending lightly. Beat ingredients together just until well mixed, about one minute. 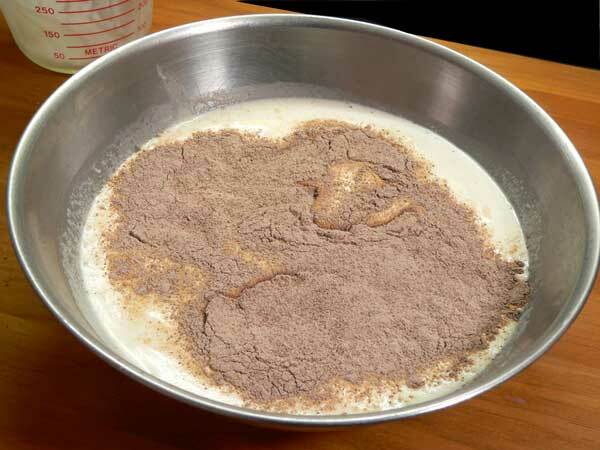 Pour mixture into 9 inch pie crust. Pie should keep up to 24 hours in the refrigerator if needed. Keep refrigerated until ready to cut and serve. You might even want to pop it into the freezer for 10-20 minutes first to make slicing easier. Leftover pie may be kept refrigerated for 24 hours if needed. 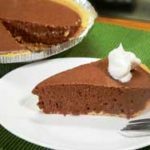 Ever tried this Vintage Ice Cream Pie Recipe? What did you think about it? Taste testing is a rough job…..but, somebody’s gotta do it!!!! Loved your For The Record remarks. It’s a tough job, but somebody had to do it! LOL!! Thanks Steve think the husband will really enjoy this retro pie and your take on it. Gosh the strawberry version looks so good for summer. maybe black cherry ice cream and pistachio pudding in a chocolate graham cracker crust-I am a big spumoni fan and can rarely find it aside from the holiday season. I wanted to ask about the ice cream and pudding mix. 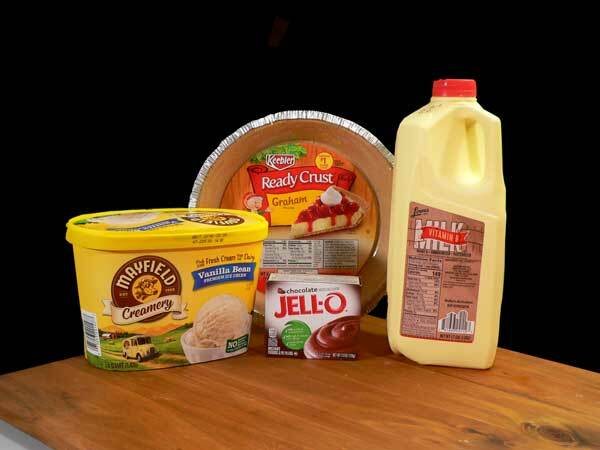 Is the ice cream 1.5 quarts, and is the jello the small box, or a big box. I’m planning on making the pie tomorrow night for the office potluck. Stay blessed! Ok I didnt even make it through the whole newsletter before I clicked lol! Chocolate ice cream is softening now and a box of banana cream pudding mix is ready to go! Bet this will be Good!! I’ve never had the Ice cream pie before, but it’s on my to be made list real soon. Just got to finish the nectarines cake I made over the weekend. I’m wondering how good this would be with chocolate ice cream, chocolate instant pudding, and chocolate milk. I’ll let you know after I make it later this week.